While generally harmless, veins can impact your self-confidence and cause you to avoid showing off your legs. If you would like to get help with unsightly spider veins or varicose veins, contact Dr. Sannoh of Total Wellness located in Upper Marlboro and Waldorf, Maryland. Dr. Sannoh specializes in treating aesthetic issues like leg veins using the most up-to-date techniques. When you book a consultation with Dr. Sannoh, she assesses your veins and discusses treatment options with you. Call the clinic now or book an appointment online. Varicose veins are gnarled and protuberant veins that stand out from your skin, while spider veins are tiny veins that are visible through your skin but don’t protrude as much as varicose veins do. These problem veins occur most often on your legs and face and can be caused by prolonged standing on a regular basis, being overweight, or having family members with the condition. Hormone fluctuations can lead to the development of varicose and spider veins during pregnancy, when you are taking birth control pills, during menopause, and if you use hormone replacement therapy drugs. Why might I need my leg veins removed? You can remove varicose and spider veins when they become unsightly or painful. Dr. Sannoh at Total Wellness is a specialist in aesthetic medicine who can help you rid yourself of your annoying or painful varicose and spider veins. Should I be worried about spider and varicose veins? In general, you don’t need to worry about your health with regard to spider and varicose veins, but there are a few implications to bear in mind. Having spider veins may indicate that you’ll be more likely to develop varicose veins in the future, and these do have the potential to lead to more serious conditions such as thrombophlebitis. If you’ve previously had a deep vein thrombosis or there is undue pressure on your body because of tight clothing or chronic constipation, these can be contributing factors that need to be considered not just in preventing varicose veins, but for your general well-being. In general, spider and varicose veins are more of a nuisance than anything else because they can affect your self-confidence and make you feel as though you are aging prematurely. If they do become uncomfortable or start to hurt, you should get them checked out and look at potential treatment options. The good news is that you can have problem veins removed by Dr. Sannoh and her team at Total Wellness. Laser treatments are becoming more commonly used to treat spider veins and have the advantage that they are noninvasive, so there is no need to worry about needles, injections or downtime. Varicose veins can be successfully treated by removing them completely, which is a straightforward procedure that you can receive as an outpatient. 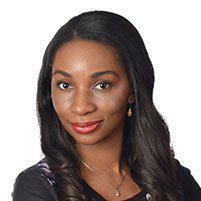 When you see Dr. Sannoh, she will talk you through the different treatment options and help you make the right choice. Call the Total Wellness office now to make an appointment, or simply book using the online form provided.